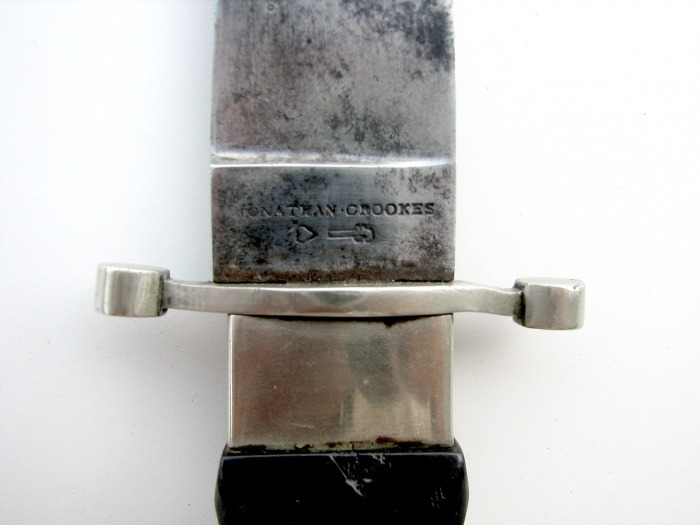 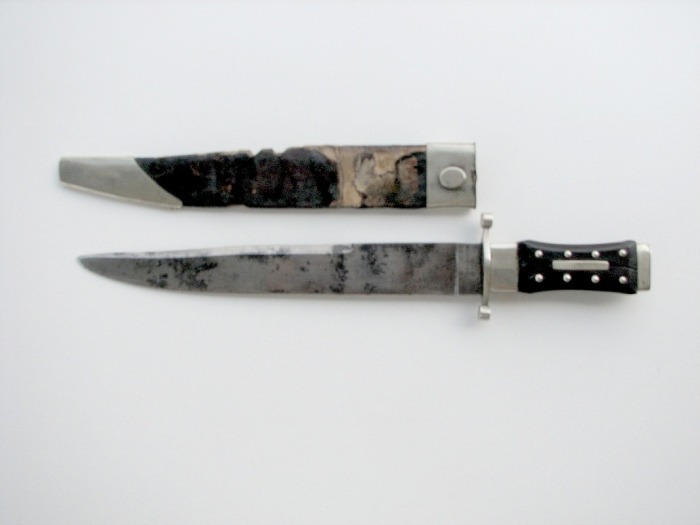 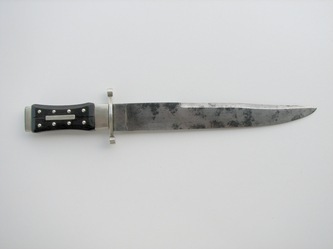 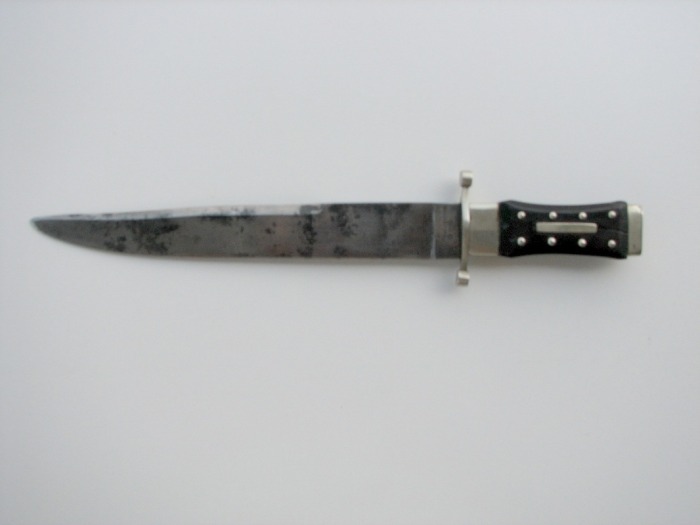 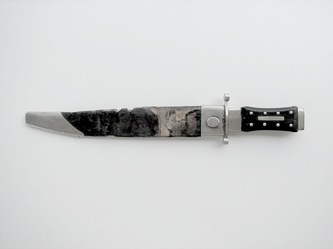 Early, marked Johnathan Crookes Bowie Knife, ca. 1830-35 Coffin handle design and early style clip point blade. The blade is etched and is visible under strong light "Arkansaw Toothpick", Very early spelling of this state. 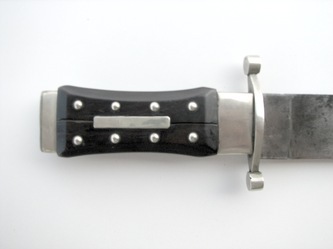 This knife has its original sheath. 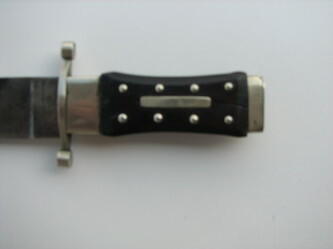 Blade length 9 5/8", Total 13 3/4"